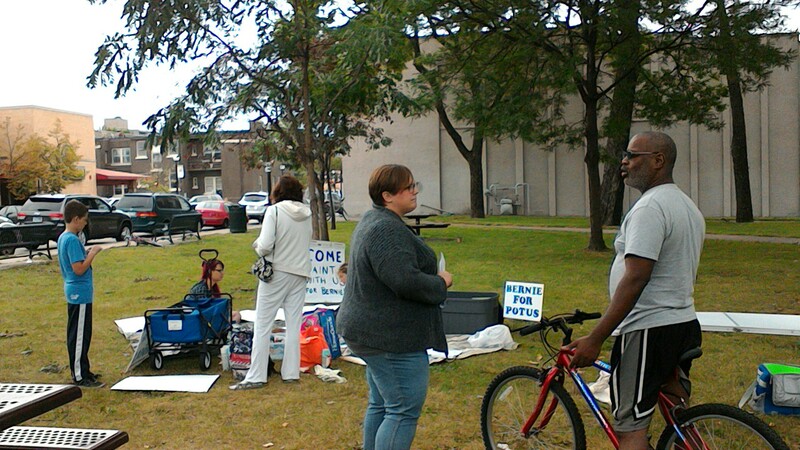 Ongoing Tabling PLEASE CONSIDER SIGNING UP FOR ONE TWO-HOUR SLOT to table for Bernie at Cameron Park! We still have several slots open (Friday evening or Saturday morning) through the end of October. The table and all you need (including instructions) are provided and easy to set up. You will be helping get Bernie's name and message out to people. It's very easy and if you go with a friend it's a pleasant way to spend a couple of hours. And you can shop for great food when you are done! Sign up at tinyurl.com/LaXTable4Bernie. If you want some training before you sign up, have trouble using the sign up site, or have any questions, please email Cathy. More Leafleting Many Bernie groups are getting a few folks together to pass out leaflets at places or events where there are many people gathered. Do you have ideas for other places we can leaflet? Would anyone be up for handing out fliers at a football games? What other opportunities are there? Please share your ideas or set up an event and let us know about it! 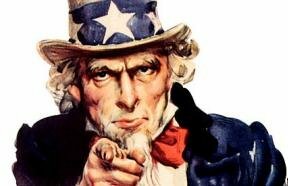 POSSIBLE FUTURE VOLUNTEER OPPORTUNITIES IN IOWA We have been contacted by a Minnesota organizer who is trying to set up some canvassing opportunities in relatively nearby Iowa Cities (Mason City, Cedar Falls, Waterloo - all about 2.5 hours from La Crosse) that Minnesota and Wisconsin volunteers can help with. We will report as soon as more definite plans have been made. 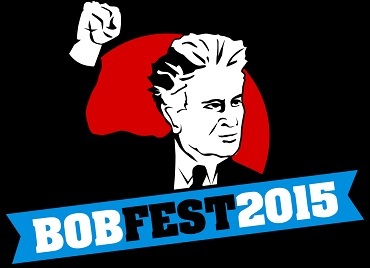 OTHER EVENTS - Fighting Bob Fest will be on Saturday, September 19 in Madison. Many great progressive speakers (Russell Feingold and Ed Schultz, for example). Bernie has spoken at FBF before but so far he's not on the list. If you plan to go and want to car pool, email Jack (logos2010[at]centurytel.net). THE RIPPLE EFFECT - Why is it good to have events like the shirt/sign making workshop (thanks, Jess and Carrie!) at Cameron Park on Aug. 29? Caitlin says, “I wanted you to know that I really love the LAX for Bernie movement, especially the shirt/sign making event. Fortunately I was around the downtown area at the time, which was lovely. I got to make a sign for the campaign that I've been following for over 4 months. At 14 years old, this is the first movement that I have been involved in, but it will certainly not be the last. It is sad to see nobody at my age who is interested in politics. Even though I can't vote, I hope Bernie will become president. My imaginary vote will be for him.” Thanks for participating and for writing, Caitlin! Here's another reason to have events constantly posted at the official campaign site. The first person to visit the table on Saturday morning was a woman who doesn't use the internet but had heard Bernie on C-SPAN and was so interested in his candidacy that she called his Washington, DC Senate office. They referred her to his Vermont campaign office and they looked up her zip code online and told her about our shirt/sign making workshop. So she was able to connect with us! VOTER REGISTRATION TRAINING - Get trained to register voters in the City of La Crosse (this training may also be accepted in other jurisdictions, but you will have to check with each clerk to make sure). There is a two hour session on October 20 at 5:30 p.m. in the third floor conference room at La Crosse City Hall (400 La Crosse Street). To sign up, call Teri Lehrke, City Clerk, at 789-7556. Voter registration is a non-partisan activity, but the more people registering people to vote, the better. STUDENTS FOR BERNIE! William is working to set up a new group at UW-L that will work on the Bernie campaign. If you are a UW-L student, please email him at wjm2016b[at]gmail.com or call 608 618-3189. If you are OR KNOW a Viterbo or WTC student interested in organizing at that campus, please email Cathy. LAX4BERNIE TEAMS - Time for the TEAMS to GET ACTIVE! Who will set up the next event? Who will organize a letter to the editor party? Who will look for supplies for upcoming canvassing? Who will help set up some canvassing activities? OUTREACH, MEDIA, HOME, and CANVASSING teams are up and running. To join one or more, please email Cathy. HELP LAX4BERNIE GROW! Do you know people in our area who want to help elect Bernie Sanders? Please have them email couleeprogressive@hotmail.com to be put on the mailing list and get information about local activities and opportunities to help or forward this newsletter to them. SEND YOUR STORY for next week's newsletter! COOLEST BERNIE SITE OF THE WEEK: COLLEGE STUDENTS FOR BERNIE - another great volunteer effort to involve students in creating their own (and our) positive future.